Trusting your appetite would be your natural way of eating, if your appetite mechanism has not been overridden by other factors. I grew up in a family where trusting your appetite did feature in whether an extra helping of food was provided. However, my experiences of food and meals influenced my ability to tune into and make choices based on my appetite. Are meals served for you? I did not have full control over what I ate, or the quantity of food at meal times. The evening meal was plated for all of us. The contradiction here became—my food was served for me and then I had to eat everything on my plate. I did not have choice over the original serve size. It was okay if I was still hungry and wanted an additional serve, but if I was full and still had food on my plate, I had to keep on eating. As we became teenagers, then adults, we did have some say in the serving size. The practice of trusting your appetite would have been more readily achieved in my family if we had been given the chance to say how hungry we were prior the meal being cooked. Because once the food was cooked, there was no way any piece of that food was going to be wasted. Both of my parents lived through the depression and experienced a scarcity of food. Understandably, food was a precious commodity. Another way of assisting the practice of trusting your appetite is to allow people to self serve their meals from individual bowls of vegetables, grains, meats or alternatives. If you are the food provider, you probably have a good sense of the amount of food eaten for most meals. This amount of food can be prepared, but individual household members can then select the quantities of the different foods themselves. This way of eating is common in many European and Asian countries. Do portion sizes influence how much you eat? When we eat away from home, the presentation of food can interfere with the practice of trusting your appetite. At home you usually have a bowl of pasta for your evening meal, but the bowl you have at home is different to the one at the hotel where you are staying, for example. Rather than fill the bowl to the usual level, consider whether the bowl is a similar size to your one at home, smaller or larger. If in doubt, it is better to have a smaller serve, check in with your appetite and satiety level, and have another serve if you are still hungry. A popular morning or afternoon tea is a fruit muffin. Now this is a food item that varies greatly in size and nutritional quality. Muffins, on average, range in weight from 60 to 150g. The content of fat and fibre also change their satiety value. 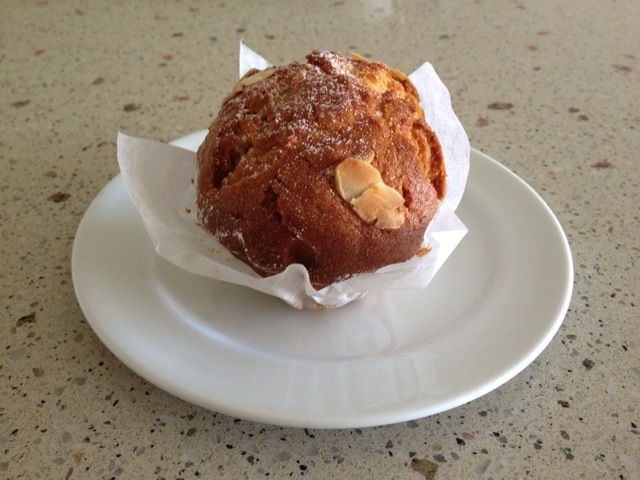 As a regular baker and eater of healthy muffins (high fibre, no added sugar and low saturated fat), I am always amazed at the range of muffins served at cafes and take away food outlets. I have adopted the practice of cutting a large muffin into quarters. I often take two quarters (half of the muffin) home with me. Is stress or other emotions interfering with your appetite? Am I hungry for food, or am I hungry for resolving my stress (or other emotion)? If I am experiencing physiological hunger, what do I feel like eating, and how much do I need? If I am not hungry, what is driving me to eat? Will eating help me to resolve my stress or emotional upset (now or in the medium and longer term)? Overcoming Boredom and Emotional Eating Habits.